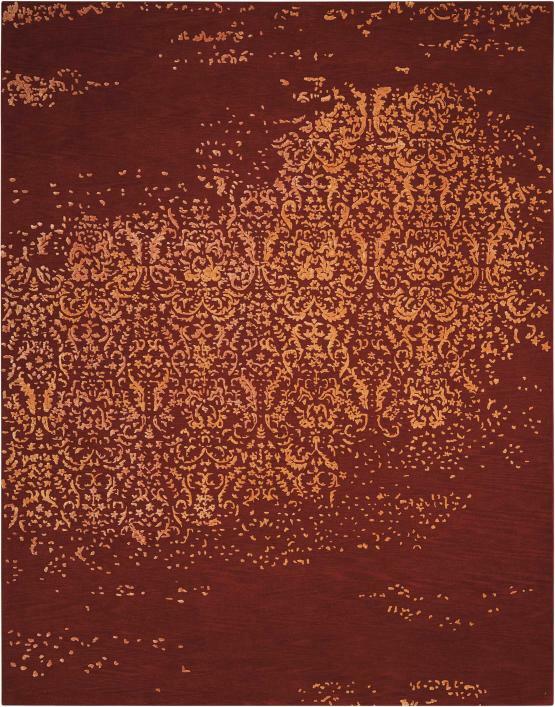 Blush ivory and deep crimson tones create an exciting fire-and-ice effect in this elegant area rug. Delicate floral escutcheons shimmer across the surface in a hypnotic play of light and pattern. Hand-tufted for lasting quality.